Deportivo Tachira's Carlos Javier Lopez celebrates scoring against Cerro Porteno in the Copa Libertadores. It has been a fine few days for Venezuelan football. Last week, at the fifth attempt, the national team won its first match under new coach Noel Sanvicente, the first victory since beating Peru 3-2 in a World Cup qualifier back in September 2013. Last Wednesday's Sanvincente team won away to Honduras by the same scoreline. 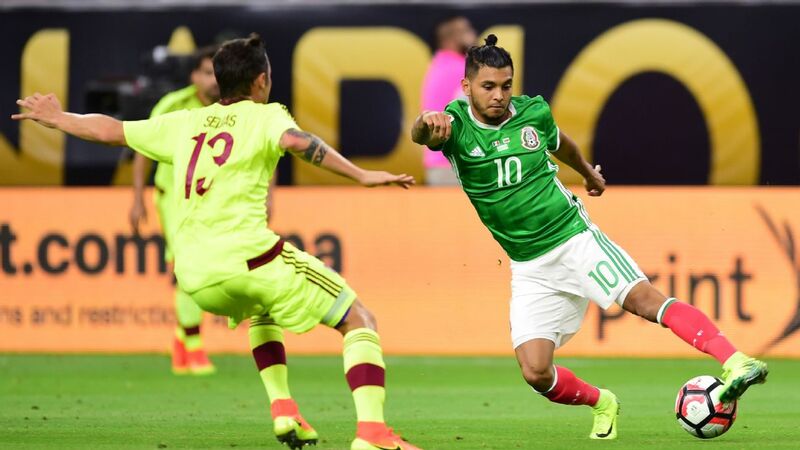 It might have been only a friendly, but it was a stern test against opponents out to impress their new coach, Jorge Luis Pinto -- the Colombian who did such impressive work with Costa Rica in the World Cup. Venezuela withstood some intense first-half pressure and broke with pace and skill to open up a 3-0 lead, until Honduras hit back with two late goals. On Wednesday, the teams met again, this time on Venezuelan soil. Once again Venezuela came out on top, and once again they were tested, going behind to a first-half goal but hitting back to win 2-1. These matches were not staged on FIFA dates, so Venezuela's selection was limited to home-based players. To restrict Sanvicente all the more, he could not call on players from Deportivo Tachira, the club with the most glamorous lineup in the Venezuelan league. Tachira were busy taking on Cerro Porteno of Paraguay in the qualifying round of the Copa Libertadores. And here, too, there was good news for the Venezuelan game. Cerro Porteno are serious rivals. This was their 37th appearance in the competition. They reached the semifinals in 2011 and made it through to the second round last year. But Tachira came out on top, winning 2-1 at their home ground in San Cristobal, near the Colombian border, and holding the Paraguayans to a 2-2 draw in Asuncion. Tachira, then, are through to the group phase and next Tuesday will host reigning Argentine champions Racing. To put this in perspective, on only one previous occasion in the last decade has the Venezuelan club not been eliminated in the qualifying round. And it is some time since a representative from the country has made any significant impression on the competition -- Caracas reaching the quarterfinals in 2009 is the sole standout. In the last couple of years Venezuelan sides have even struggled to score a goal. There is a glaring contradiction here. Venezuelan football has never been better. Twenty years ago the national team were merely making up the numbers. In a land of baseball and beauty contests, football seemed very low down on the list of sporting priorities. But now the team will go into the next set of World Cup qualifiers carrying a hope -- and not a totally unrealistic one -- that they might make their debut on the big stage in Russia 2018. New Venezuelan manager Noel Sanvicente has hopes of guiding the national team to their first-ever World Cup finals. They have won away to Uruguay in World Cup qualification -- an achievement which at the time Brazil had not accomplished. 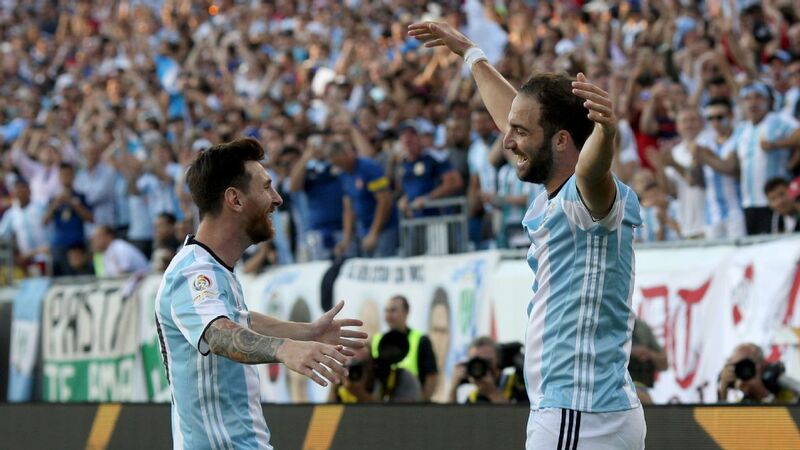 In the last set of qualifiers they beat Argentina. 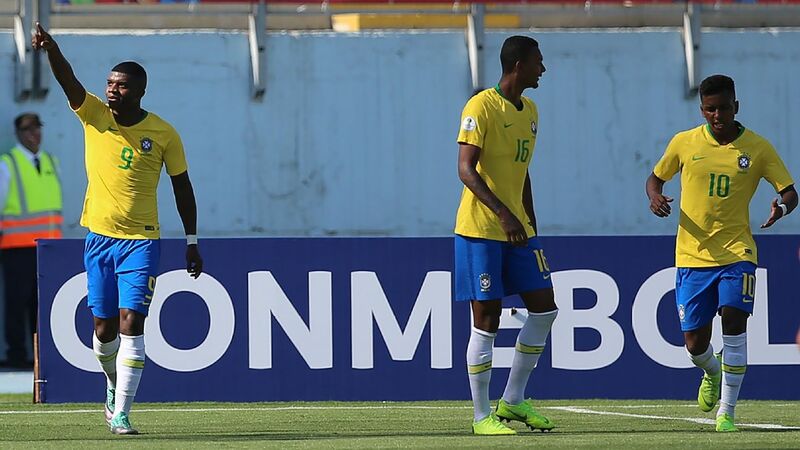 They have overcome Brazil in a friendly on neutral ground. No one is laughing any more at the Venezuelan national team. But the big picture reveals the difficulty of launching a domestic league in today's globalized world. Once the national team started winning, more people became interested in the game. The government invested heavily in football, building some fine new stadiums for the 2007 Copa America, the first that the country had ever hosted. The first division was expanded. But the very success of the national team -- the driver of the process -- was also a problem, because it put the best players in the global shop window. They began to be picked up by clubs in Europe -- which was good for their development, good for the national team, but no so good for the local league. At the very moment when some big names were needed to supply quality and box office appeal, they were being sold abroad. And so, while the results of the national team were encouraging, the performances of the club sides were not. It is precisely for this reason that the last few days have been so positive. These are signs that the domestic game in Venezuela might be moving in the right direction.